Call us at 864-224-5783 today. 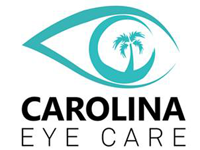 Carolina Eye Care is committed to provide our patients with the best care and service! An optometrist office in Anderson, SC, we offer comprehensive eye exams, contact lens fittings and training. Our eye doctors use the latest technologies to manage ocular diseases such as glaucoma, dry eye disease, macular degeneration, ocular infections, and ocular allergies. Our doctors also co-manages pre- and post-operative patients with local ophthalmologists in cataract and LASIK surgeries. At Carolina Eye Care, we are dedicated to providing high-quality optometry services in a comfortable environment. Call us at 864-224-5783 or request an appointment today online.